Netflix's splashiest original series so far is "House of Cards," a $50-million-per-season political drama starring Kevin Spacey. As streaming content grows more competitive, Netflix is branching out in a big way: producing its own original series. It's a bold and risky bet, particularly the $100 million Kevin Spacey vehicle "House of Cards" that went live just after midnight on Friday. In 2011, after a series of missteps -- let's call it "the Qwikster era" -- Netflix (NFLX) grabbed headlines by announcing its foray into original programming. Its splashiest project is "House of Cards," an American reboot of a successful British miniseries. The star-studded lineup and premium production values are widely believed to be costing the company $50 million per 13-episode season. In addition to Spacey, the cast includes Robin Wright and Kate Mara, with David Fincher on board as an executive producer. Netflix's original series lineup also includes "Lilyhammer" (already picked up for a second season), an upcoming new season of the canceled TV show "Arrested Development," a new series from comic Ricky Gervais, one from horror king Eli Roth, and another from "Weeds" creator Jenji Kohan. "Part of our goal is to become like HBO faster than HBO can become Netflix," says Netflix spokesman Joris Evers, echoing an oft-spoken line from CEO Reed Hastings. "Perhaps people saw us in the past as a distributor, or aggregator. We want to have an experience that cannot be replicated by our competitors." Series like "Cards" -- which chronicles the cold world of Washington politics, with Spacey starring as a ruthless congressman -- are key to the strategy. "When I say 'Game of Thrones,' you think HBO," says Wedbush Securities analyst Michael Pachter. "But if I say 'The Dark Knight, you don't think HBO -- even though you can watch it on HBO. That matters. You have to have your own content that can't be obtained anywhere else." Plus, buying content from others is getting more expensive. Studios now shop their prized shows around to a bunch of Netflix rivals: Hulu, Redbox (CSTR), Amazon (AMZN) and more. HBO (owned by CNNMoney parent company Time Warner (TWX)) and Showtime are also expanding their streaming offerings. Netflix acknowledges that original content game is a gamble. "There's a lot still to be released, and we'll see how this goes," Evers says. "Some of the [metrics of] success will be attracting new members and retaining the existing ones. It's also about making Netflix a place for unique content." Rich Tullo, an analyst at Albert Fried, appreciates that goal -- but he's concerned about Netflix's method. "The approach is solid: content is king," Tullo says. "But they're taking a lot of unnecessary risks on what could otherwise have been a coup." The most obvious risk, Tullo thinks, is the $50 million per season price tag. With 56 million Netflix shares outstanding, the two seasons of "Cards" alone will cost the company nearly $2 per share. Netflix earned just 29 cents per share in all of 2012, weighed down by its streaming-content bills. Those will keep rising: Netflix is on the hook for at least $5.6 billion over the next few years to pay for its content deals, according to its latest annual report. This month, the company said it's considering issuing debt to raise capital and fund more original programming. "It can't just be a good show," Tullo says of "Cards." "It has to be a spectacular show, where people say, 'Wow, you've got to sign up for Netflix to watch this.' Is it really great enough to bring in two or three million people not subscribing already?" Netflix spokesman Evers insists Netflix spent about the same amount on "Cards" as it would have on an exclusive streaming deal with an outside studio. Pachter, the Wedbush analyst, points out that $2 million per half-hour of original television is on par with standard production costs. He doesn't think Netflix has to inspire new customers to sign up and stick around for its deal to pay off. "If they keep their 27 million customers happy, and fewer people quit, that's great for them," Pachter says. "Early on, the cost isn't justified by the benefits," he adds. "But if you have four or five successes, if you have great stuff coming out in March, April, May that are all must-haves, that can get you there. 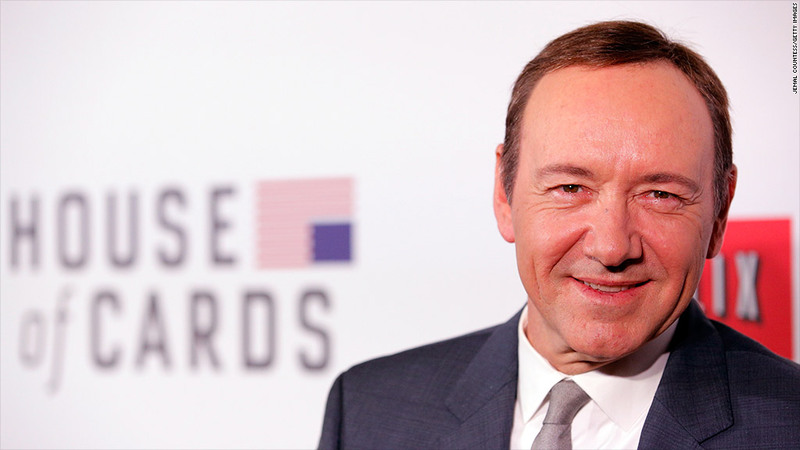 No one is going to join Netflix for life to watch 'House of Cards.'" Thanks to the unusual way Netflix is releasing "Cards" -- all 13 episodes at once -- someone could sign up for a month and cancel. That's what concerns both analysts. "Why give up the benefit of word-of-mouth that lasts the entire 13-week season?" Pachter asks. "That's the nature of serialized drama. Instead they'll get a few days. [Netflix CEO] Reed Hastings says, 'This is what our customers want,' and he's too arrogant to realize he's wrong." Netflix often waxes poetic about its immediate-release setup, saying it's catering to binge-watchers. In its fourth-quarter earnings report this month, the company employed a drawn-out metaphor about traditional networks making a book available one chapter at a time, for an hour per week, and then closing the book again. But Hollywood has its reasons for the serialized setup. "It's a really risky proposition to completely remove that feedback loop, both from [studio] executives and the audience," says Tullo, the Albert Fried analyst. "You see a lot of shows kind of change direction midseason based on viewership: '24,' 'Sopranos.' You take what works and provide people with more of that." Pachter is more concerned about viewers signing up to watch series like "Cards" and promptly canceling their subscriptions when they're done. "It's not like the tech [in Hollywood] only permits weekly broadcasting. There's a reason they don't run the whole season as a marathon," he says. "But Hastings wants to be different. And instead of getting a new subscriber, he's going to get eight bucks."